Cooler temps this past week have officially ushered in the season of layers to my wardrobe. I am a complete layer addict. As you may have figured from my post here on my grad school uniform last week, I typically wear 3+ layers all fall and winter long. This year I have been trying to break of out my typical affinity for black clothes by adding more colorful and patterned pieces to my closet. My Old Navy cash and frequent trips to Target have helped create a diverse army of clothing for this year and I must say, I am excited! Today’s outfit is a combination of a few pieces I received from Old Navy via mail yesterday and felt instantly inspired by. I think Old Navy has done a phenomenal job of creating pieces that work with almost everything else they make, which makes mixing their clothes easy and fun. I, along with pretty much every other girl out there, love a chambray shirt. They are versatile, can be worn up or down, transition season to season, and are easy to wear. I paired my chambray tunic with this new crew sweater with sequined polka dots. You had me at sequined, and the polka dots are just a bonus. This is the perfect sweater, seriously, I dare you to find something wrong with it. I love the shirt and sweater together, they are perfect for warm fall days. Army green. I had been looking for a few weeks for a skinny jean for fall in army green. Although camo and military inspiration are everywhere this fall, I wanted something more versatile than camo skinnies, but more unexpected then just jeans. Enter these chic and comfy pants from Old Navy’s Rockstar line. The zipper details are amazing and I am sure they will be on repeat quite a lot this fall. I have been waiting for the perfect outfit to debut my leopard heels with. After seeing them on Instagram and several blogs, I ran out to Target and bought them immediately, but they have been waiting for weeks in my closet as the weather decided whether or not if actually wanted to be fall yet or not. Finally I feel they can emerge from my closet, and I am happy they out! The pave link bracelet far exceeded my expectations, the pave crystals are gorgeous and the fit is perfection. I received it from the ladies at Hawthorne Collection and am incredibly grateful for it. 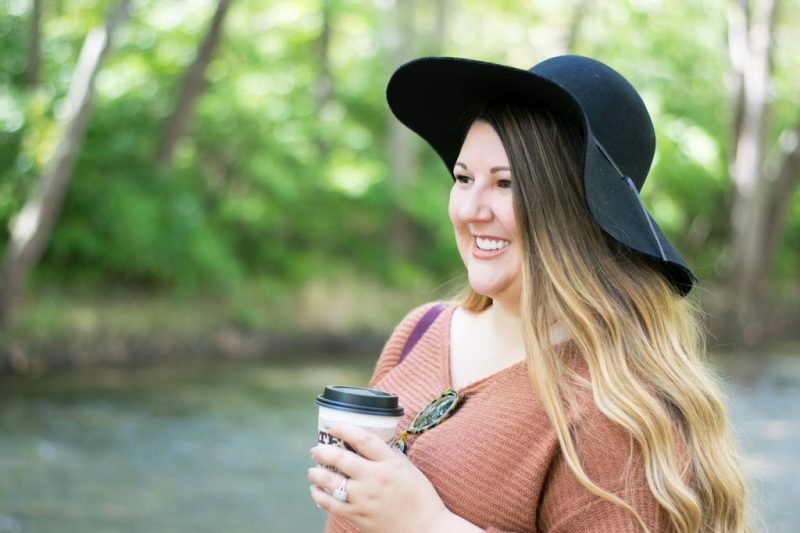 Hawthorne Collection is an online boutique based out of my home state of Michigan, which creates designer inspired pieces at affordable prices. They are the sweetest girls and have the best quality, I highly recommend you check them out! Well there you have it, my first outfit post! So terrifying, yet exciting, at the same time. I am starting to develop a grove for this whole blogging thing (maybe? ), or at least I am optimistic I am. Thanks for sticking with me as I begin to navigate my way into the world of outfit posts! How would you style this sequined polka dot sweater? Your outfit is perfect for the fall and i love that sweater! I love the whole oufit!